Need a Temporary Visa? Get Legal Help! Temporary visas allow people from outside of the U.S. stay in the country for a specified amount of time. It is essential for people who plan to stay in the country for 90 days or more to apply for a temporary visa in order to comply with U.S. immigration laws. Most temporary visas allow a person to enter the U.S. with their spouse and any children under the age of 21, but it is important to ensure that the visa covers immediate family members instead of assuming that each family member is eligible to enter the country. An immigration attorney can help a person understand whether they can use their temporary visa for more than one person. These attorneys are also able to review which family members are eligible to enter the U.S. on this visa. Working seasonally for companies headquartered in the U.S. 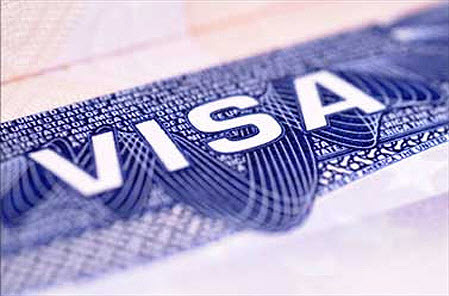 Obtaining a temporary visa can be difficult. Even if a person is coming to the U.S. for one of the reasons listed above, providing proof of this reason may not be a simple task. It is important for people to show that they have ties to the country that they are leaving. This is especially true if living conditions in the individual’s home country are considered to be very poor. Proof of ties to the home country can include owning a business, leaving behind close family members or owning real estate. Obtaining a temporary visa depends on the officer handling the application. It is important to provide truthful information about the reason for the application, and gathering proof can be a difficult task for people who are unfamiliar with what officers are looking for in an application. Our immigration lawyers can help you with the process of applying for a temporary visa.